Home Accessories in Montgomery AL - Just Blinds Inc. 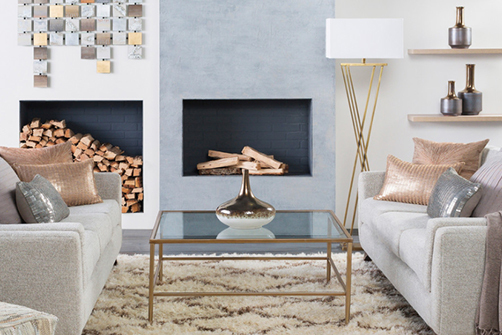 The decor you choose for your home allows you to explore texture, color, shape and more. In doing so, you are personalizing your home to your taste and style. We are pleased to offer to you an exciting line of Home Accessories to assist you in doing just that. From Rugs to Outdoor Furniture, our line of Surya products offers various home accessories ranging in classic to contemporary styles. Not only are our Home Accessories products high quality but also suitable for everything lifestyle and budget. Choosing the appropriate rug pulls an entire room together. We can help you select the best style for your room in order to accomplish that “completed” look. Our collection of floor lamps and table lamps boasts several top sellers and trending fashions. Dress your walls with decor that complements your window fashions with our selection of in-stock art, made to order art, mirrors and other wall hangings. We’re here to assist you in choosing the appropriate decorative accents that coordinate with your home’s look and feel. We have accents that fit any style: Bohemian, Coastal, Contemporary, Glam, Modern, Traditional and more. Looking for just the right accent furniture? We’re sure to have what you’re looking for with our access to a vast variety of poufs, benches and accent tables in every shape, color and pattern to suit the needs of your space. Not only do we offer fine home accessories but a wide array of Outdoor Accessories and Furniture as well. Our Outdoor selections include: Rugs, Lighting, Pillows, Poufs, Furniture, Wall Decor and Accents.